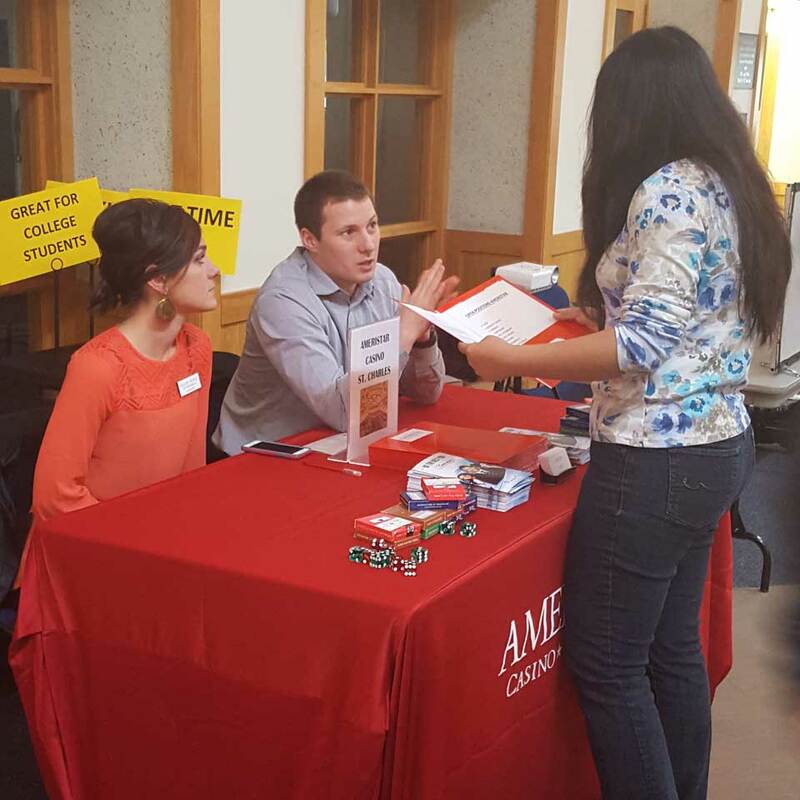 Ameristar recruiter Georgi Nedev discussed internships and flexible part-time and full-time opportunities with Webster University students on Nov. 4. Ameristar recruiter Georgi Nedev visited Webster University's home campus on Nov. 4, to inform Webster students about internships and flexible part-time and full-time opportunities with Pinnacle Entertainment. Pinnacle Entertainment is a dynamic and growing casino entertainment company with nearly 15,000 team members in the U.S after welcoming Ameristar Casinos in 2013. Pinnacle also owns River City Casinos. Many Webster students took advantage of Nedev's visit and stopped by the information table in the University Center to learn about Ameristar opportunities. To find out more about their 10-week summer internships in Human Resources, Finance, Marketing, Hospitality and Supply Chain, contact Georgi Nedev, talent specialist at georgi.nedev@ameristar.com or 636-940-4954.